Head south to brush up on your rigging skills. The Jay O. Glerum Rigging Masterclasses for both entry and our new intermediate level classes will be in Dothan, Alabama, June 4-5. Don’t pass up this opportunity to learn from skilled riggers and improve your rigging knowledge. Register here. Take your talents and display them across the pond. Submit your work to have it potentially displayed on an international scale. 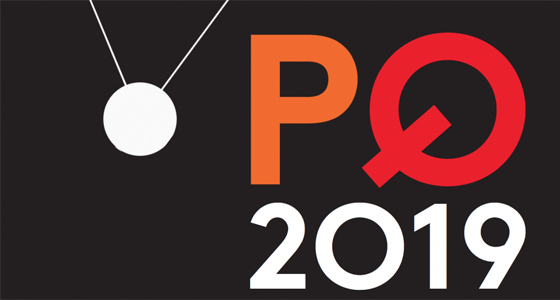 USITT Exhibits for the 2019 Prague Quadrennial of Performance Design and Space (PQ). 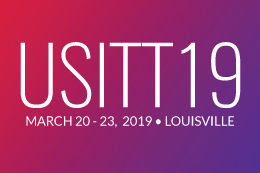 The curators of the USITT Exhibit for the 2019 PQ recognize the rich ethnic, cultural, and artistic diversity of the United States today and are looking to exhibit design work that mirrors this diversity. They seek work that represents the finest in artistic achievement presented in the United States between 2015 and 2019. Get started! The Deadline is May 1, 2018. Do you practice safe rigging? Join us on social media Friday, April 27, to celebrate #RigSafe day! Rigging safety is important every day, but special attention is given every year on Arbor Day. We are partnering the Columbus McKinnon Corporation for #RigSafe Day 2018. USITT and Columbus McKinnon will be communicating safety tips all day, April 27, across social media to remind you to #RigSafe. Join in with USITT and our partners around the world to help celebrate Arbor Day on social media and online and tell us how you #RigSafe! If you didn’t get your copy of The Designs of William Ivey Long signed at USITT 2018, we’re here to offer you a second chance. Join USITT, costume designer William Ivey Long, and author Bobbi Owen for a book signing and discussion at The Drama Book Shop in New York City, Thursday, April 19, 5 p.m. – 7 p.m. Explore William’s career through more than 100 illustrations. Among them are renderings of his exquisite costume designs and photographs from his award-winning productions. Can’t make it to New York? Purchase a copy from our online bookstore.